Since the fall of communism in 1989 and the opening up of Central and Eastern Europe, the Czech Republic – and its capital in particular – has evolved into one of Europe’s most popular travel destinations. Prague offers an intact medieval core that transports you back 500 years. The 14th-century Charles Bridge, traversing two historic neighborhoods, is one of the continent’s most beautiful sights. The city is not just about history, though; it’s a vital urban centre with a rich array of cultural offerings. Outside the capital, castles and palaces abound – including the audacious hilltop chateau at Český Krumlov – which illuminate the stories of powerful dynasties whose influence was felt throughout Europe. 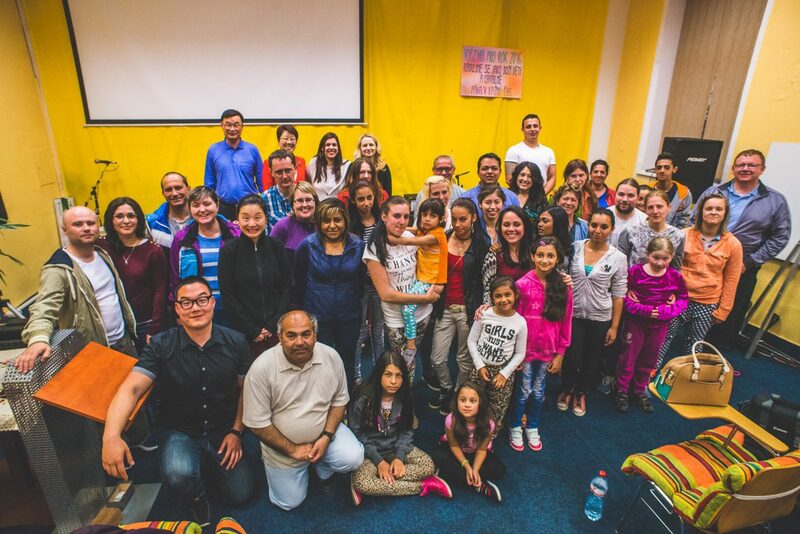 The Abante team along with Feba George, an ETS student, spent a total of six days serving the people of the Czech Republic and providing support to a few churches. The host and coordinator for the team’s service time was Maria Nam, whose family is responsible for planting several churches in the Czech Republic. The team was divided in two to maximized their service time. Half of the team ministered at the Horošky Tyn church, under the supervision of pastor Josef Taubenhansl. The other half ministered at the Plzen church, under the supervision of Maria Nam and Pastor Petr Brezina. In both churches, the colleagues preached, testified, helped with worship and prayer, besides fellowshipping and encouraging the believers. The entire team also participated in a street evangelism service at a local park, led by Evangelist Radek Zizka. Everyone testified, sang songs, and witnessed to the locals. The most meaningful ministry that took place in the Czech Republic was perhaps the ministry of encouragement for the local body. There is a great oppression in the land, and families are targeted. Executive founders Brian and Beba Schlottmann led a workshop on relationships, and sexual ethics in Plzen. This was a special time of educating and encouraging the body of Christ, as both married couples and singles attended, and left encouraged and more knowledgeable about how they can relate to each other and honor God’s desire for human relationships. An interesting miracle was experienced on the very first day of ministry, while Colleague Violeta Haro-Oropeza was sharing an illustration about how her dancing preparation has taught her that all the work you put into something is not worth it unless you get out there and perform. The church gasped in amazement because they had been praying and interceding for a week that God would send them someone who knew about dancing that could help them choreograph a dance routine for a musical they are putting together as a tool for evangelizing the community. Violeta became that answer prayer! God definitely moves in mysterious ways.